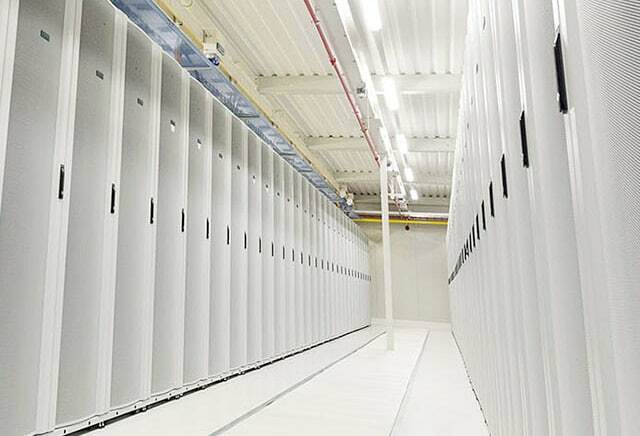 Datacenter.com – One of the main reasons for choosing a data center, is to limit the risk of downtime and unavailability of the company’s critical environment. A data center offers redundant power feeds, multiple power sources (main grid and emergency generators) and redundant fiber paths to make sure one feed/source and path will always be available. So far, a data center can guarantee a certain uptime. The uptime guaranteed often guarantees the availability of at least one feed/source or path; in terms of data center design: N.
Does that ensure the uptime of your environment? To maximize your environment ‘s uptime, the resources a data center delivers must be used. When choosing a high-standard datacenter, the equipment you will use in that data center must be able to use the safeguards that a data center offers. The infrastructure of power, fiber paths and cooling are as strong as the weakest link. By Piet Beertema – On Saturday, 17 November at 2.28 pm it is exactly thirty years ago since the Netherlands was the first country in Europe to be connected to the Internet. System Administrator Piet Beertema of Centrum Wiskunde & Informatica (CWI) in Amsterdam received the confirmation that CWI – as the first institute outside the US – officially gained access to NSFnet, an academic computer network that later evolved into the worldwide Internet. Can a single provider be trusted to fully support your business? Is the Data Center World Preparing for Climate Change? datacenter.com – Digital transformation has gotten a lot of attention. It involves not just the implementation of new technologies, but the alteration of business processes and models to fully leverage those technologies. This enables organizations to gain unprecedented levels of productivity, enhance customer experience, drive innovation and create competitive advantages. According to research firm IDC, by 2020, 60% of the top manufacturers will rely on digital platforms that enhance their investments in ecosystems and experiences and support as 30% of their overall revenue. A recent white paper issued by the Center for Global Enterprise, entitled Digital Supply Chains: A Frontside Flip, discussed how forward-looking companies are re-thinking and transforming their supply chains as they see new digital technologies and organizational models coming to the forefront of business. datacenter.com – As one of the top data center markets in the world, the Amsterdam area is poised for more growth over the coming years as cloud demand increases. The amount of data going through the cloud will reach 14.1 ZB by 2020. After Microsoft opened their €2 billion campus, Google opened their data center in North of the Netherlands (Eemshaven) and the recently the announcement came that Google will expand with a second campus in The Netherlands (Amsterdam region). Other large cloud companies are expanding their supply in and around Amsterdam. By Hans Vreeburg – Let’s start with some basic understanding of airflows within data centers. Nowadays almost all data centers apply hot and cold corridors to optimize the cooling capabilities. In the ideal situation cold air goes straight to the servers’ inlets. The hot air exiting the servers is returned directly to the cooling unit. This setup enables systems to run at the highest possible efficiency, using the least amount of power. 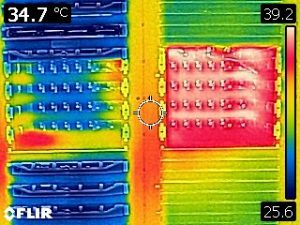 The cooling setup has a big influence on the PUE (Power Usage Effectiveness): a lower PUE results in lower total energy consumption of the data center. This indirectly saves the environment and lowers OPEX costs. Could a small gap in your server rack really have that much influence?